This file photo shows Makabayan senatorial bet Neri Colmenares. 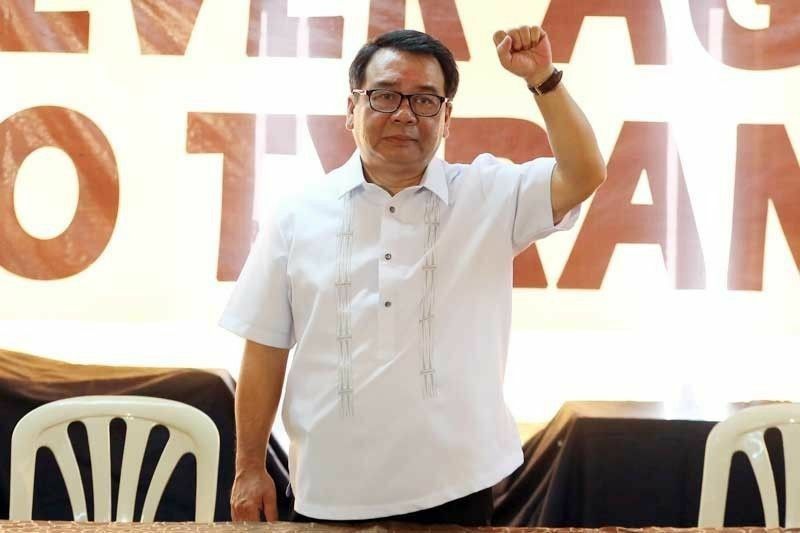 MANILA, Philippines — Bayan Muna chair Neri Colmenares on Friday said the announcement of the termination of peace talks between the government and communist rebels could be a prelude to "attacks" on progressive and opposition candidates. President Rodrigo Duterte on Thursday night announced the permanent termination of peace talks, saying he would no longer entertain any persuasion to convince him to return to the negotiating table. He had already formally terminated the talks in November 2017. Colmenares, Makabayan senatorial bet, said the termination of the talks is not only bad for the cause of just and lasting peace but also for the elections. “It seems to be the signal to attack progressive candidates and the opposition so that pro-Duterte candidates would broaden their base in the Senate, Congress and the local government units,” Colmenares said. He said a "government-sponsored" rally against the Makabayan bloc was held on Thursday and claimed government employees affiliated with progressive organizations have been under surveillance. Makabayan campaigners have also been killed, he said. Tañada, a candidate of the Liberal Party-led Otso Diretso slate, said he has never defended communists in court but stressed there is nothing wrong in doing so because everyone has a right to be aided by competent counsel. Colmenares also raised concern on declaring all of Mindanao an election hotspot. “Aside from the red-tagging and black propaganda as well as the trumped-up charges and physical attacks the Duterte administration seems to be cooking something in declaring the whole of Mindanao as an election hotspot to ensure that progressives and the opposition would lose in the elections,” he said. Mindanao has been placed under the “red” category, which means it has areas with a history of election-related violence or there are intense partisan political rivalry and serious armed threats.